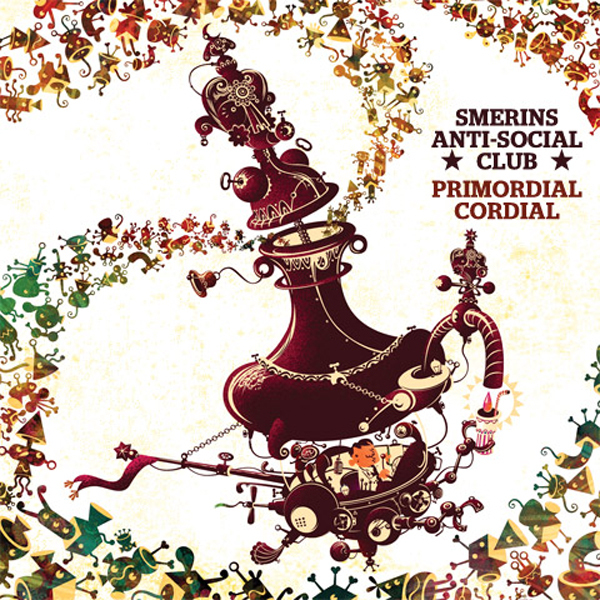 UK band Smerins Anti-Social Club new album features artwork created by Brazillian illustrator Carlos Araujo. A whimsical machine creating a juicy concoction: the Primordial Cordial! Primordial Cordial pre-release is available now at Smerins.com. The album will be officially launched this summer, but fans can buy it earlier at the band’s official site where you can find more information (plus pics of the gorgeous CD case artwork).